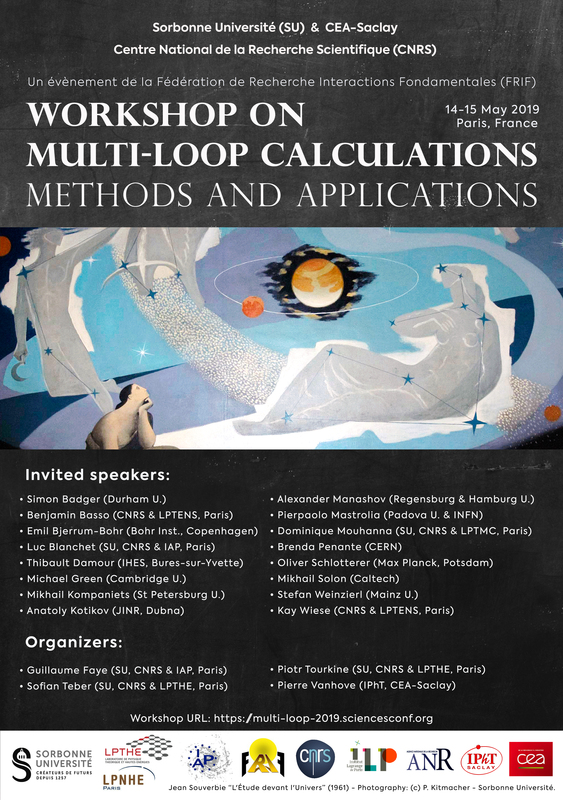 The purpose of the workshop will be (1) to review the state of the art in mathematical and computer algebra methods devoted to multi-loop Feynman diagram computations (2) to examine the most recent applications of such techniques in various areas (3) to confront the different approaches and discuss their interplay. The workshop will combine both world-leading experts in the developments of the techniques as well as scientists from various backgrounds (classical and quantum gravitation, particle physics, mathematical physics, gauge theory, integrability, string theory, statistical mechanics, condensed matter physics,...) interested in the application of the techniques to specific problems. 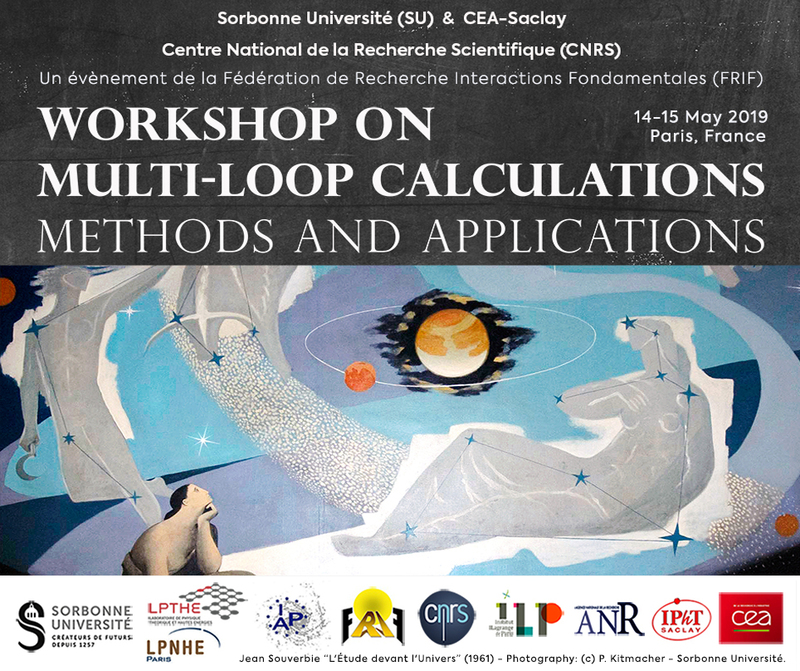 The workshop will be held in Paris at Sorbonne Université from Tuesday 14 to Wednesday 15 of May 2019. (it includes coffee breaks, lunch and conference dinner). The workshop is supported by FRIF (Fédération de Recherche : Interactions Fondamentales), ILP (Institut Lagrange de Paris), Sorbonne Université, CNRS (Centre National de la Recherche Scientifique), IPhT (Institut de Physique Théorique de la Direction de la Recherche Fondamentale (DRF)) and ANR (Agence Nationale de la Recherche).